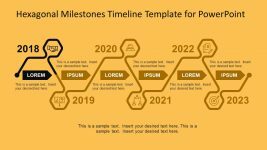 The Project Management Template for Scheduling with the envelope infographic that represents the contact information and profiling. 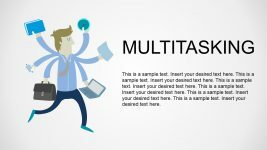 This profiling can be either for the company or an individual resource, supplies or client. 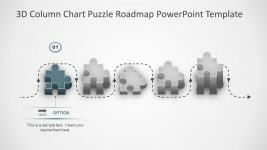 The PowerPoint slide also shows a smooth effect of transition from one phase to another using the gradient shape effect. 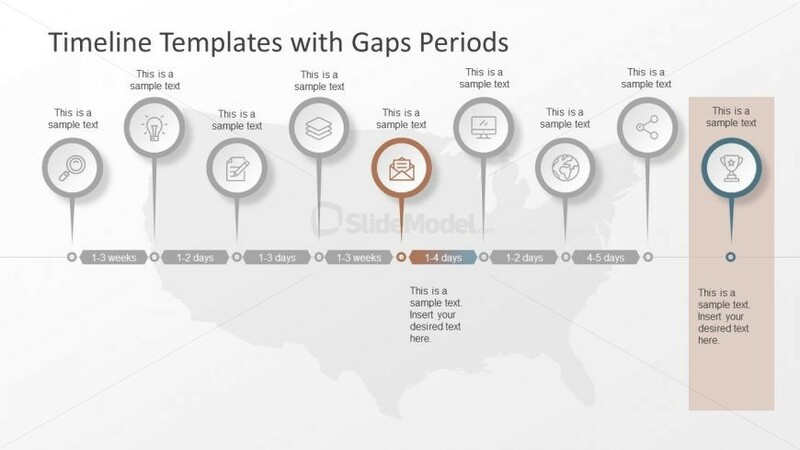 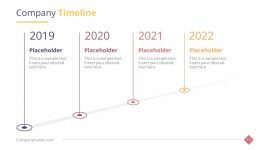 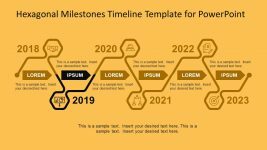 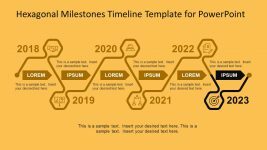 The gradient PowerPoint shape is a hexagonal title bar to mention the gap period in project timeline. 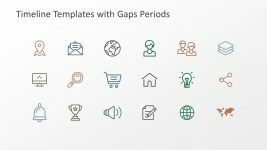 The location marker icon for phases show helps present the current status on each slide. 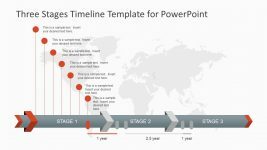 The editable PowerPoint enables users to customize text, shapes, colors and theme of the template.